Euro Motorworks is Indianapolis’ European and Lexus service experts. Their mission is to delight clients, earn trust, and above all provide world-class automotive service. They have been a long-time Mojo client. In the fall of 2017, they launched a beautiful new website designed and developed by Mojo, and began a strategic SEO campaign as part of their digital marketing engagement in 2018, with a goal of increasing new contacts and customers by focusing on Local SEO strategy and using a PPC campaign. Euro Motorworks' old website had great traffic and authority, but near the end of 2016 their website traffic plummeted. This was due to a perfect storm of factors: an aging website that used Flash elements, was not responsive or optimized for mobile devices, and had no SSL. Google penalizes sites that lack these best practices and structure. The company had also scaled back on their AdWords campaigns, which contributed to a traffic drop as well. Our challenge was to create a new, online presence that reflected Euro Motorworks' prestige in the industry and attracted the right clientele. We focused on an SEO plan and developed a visually stunning new website. Next, we worked with Euro Motorworks to design new AdWords and paid social media campaigns. 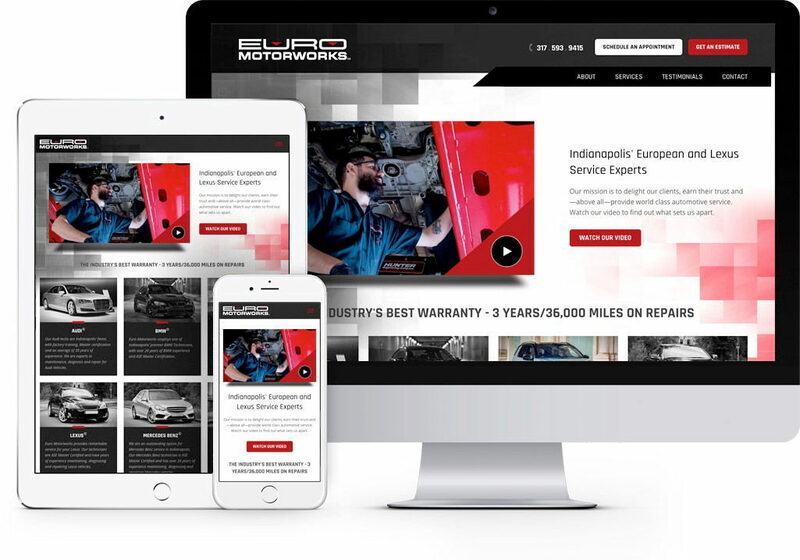 When the new, optimized website launched in September 2017, Euro Motorworks realized a major boost in website traffic, along with a significant uptick in new contacts coming in through their online forms, especially from Organic Search Traffic , AdWords, & Facebook Ad Campaigns. 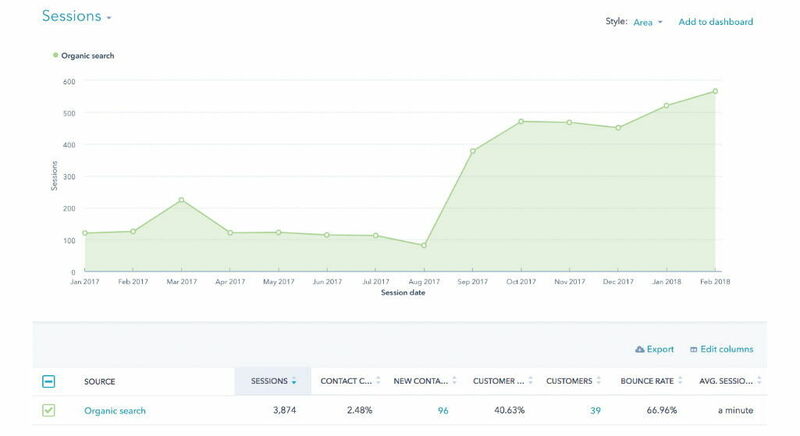 We focused on a Local SEO strategy in 2018, resulting in an exponential gain in traffic, conversions and customers compared to 2017 numbers. New website launched in September 2017, synchronized with new paid advertising campaigns and marketing engagement with Mojo. 40% new contact-to-customer conversion rate from organic traffic. New, optimized website launched in September 2017. Euro Motorworks saw a major uptick in new contacts through their online forms, especially from Organic Search Traffic , AdWords, & Facebook Ad Campaigns. SpinWeb started actively managing Euro Motorworks AdWords campaigns in September 2017. Realizes immediate growth in traffic. Our focus during the middle of 2018 has been a strong local SEO strategy, utilizing and optimizing Google My Business, responding to customer reviews, and strengthening online business listings. 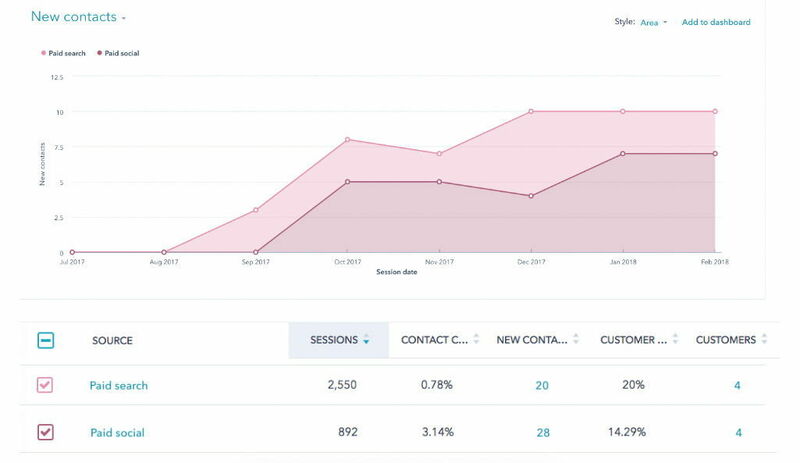 The results have been ridiculous: almost 300% increase in website sessions, 4000% increase in New Contacts, and closing nearly 100 new customers for the year. — Gloria Heath, Euro Motorworks, Inc., January 29, 2019. With a focus on on-page and technical SEO and a visually stunning new website design, Euro Motorworks was able to quickly recover from the dip in website traffic that they suffered in 2016 due to their old, outdated website. Not only did they see a huge surge in website traffic, but through simple and effective lead generation offers and paid digital advertising and local SEO strategy, they were able to dramatically increase the number of contacts and leads coming in through their website. See the new website for yourself at euromotorworks.com.